The voyage of the HMS Beagle ship is now around four years old. Charles Darwin has jumped to the official position of on board Naturalist, after Robert McCormick quit the position back in Rio de Janeiro. 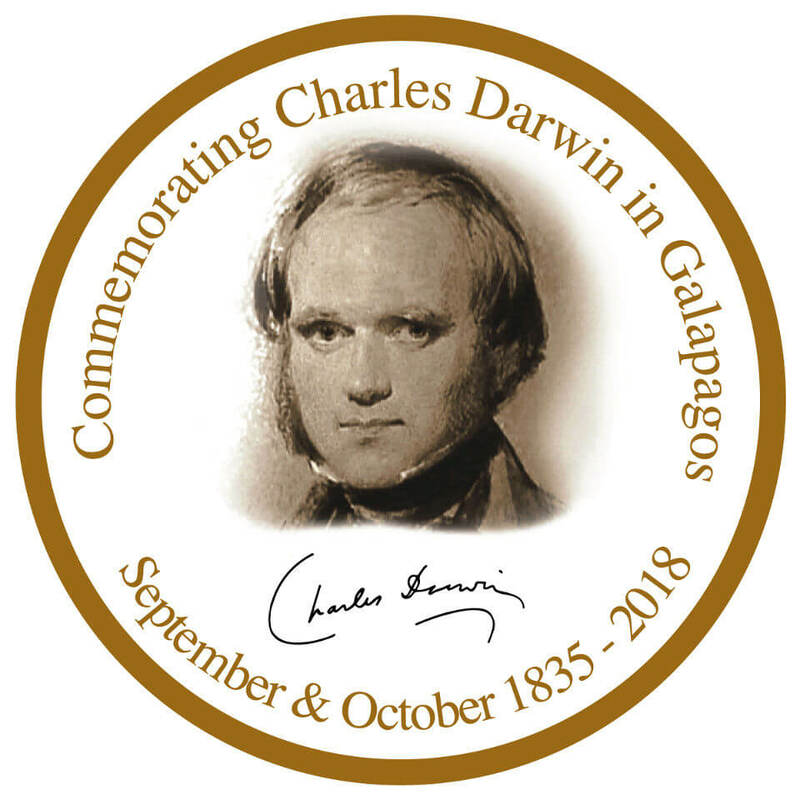 It is now September 7th, 1835 and, just about a month ago, Darwin writes to his sister Catherine: “I am very anxious to see the Galapagos Islands – I think both the Geology and Zoology will not fail in being very interesting.” He was absolutely right, and had no idea what a fantastic set of marvels he was about to encounter. Because the southeast trade winds are quite strong during this time of the year, we know Darwin must have been feeling seasick at some point during the long journey. 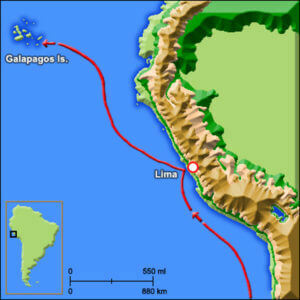 The HMS Beagle is now en route for the islands and, on September 15th, 1835, they sailed near the island of Hood (Española) which marked the official arrival to the islands. The vessel continued moving along and, in the afternoon they saw the colossal Mount Pitt on their portside, indicating the easternmost point of Chatham Island (San Cristobal). The Officers of the Beagle are in complete shock as they now see the monumental task that lies ahead of them, surveying these rugged volcanic coastlines…but they rely heavily on the stunning mathematician capabilities of Captain Fitzroy – an absolute genius in chronometry and complex surveying duties. Yacht Isabela II includes this island in its itineraries. Charles Darwin makes an entry in his book entitled Voyage of the Beagle, and writes: “Considering that these islands are placed directly under the equator, the climate is far from being excessively hot; this seems to be caused chiefly by the singularly low temperature of the surrounding water, brought here by the great southern Polar current.” In this case, he’s referring exactly to how these tropical islands hold a type of weather that’s unlike other equatorial locations. This is exactly the same impression visitors get upon arriving in the Galapagos Islands: it’s barren, arid, deciduous, bleak, and full of dramatic landscapes. A little earlier in his logbook entry, Darwin mentions something quite interesting: “Some of the craters, surmounting the larger islands, are of immense size, and they rise to a height of between three and four thousand feet (900-1,200 meters). Their flanks are studded by innumerable smaller orifices. I scarcely hesitate to affirm that there must be in the whole archipelago at least two thousand craters.” Indeed, it is absolutely evident that Darwin had a fascination and sharp eye for geological features. Regardless of where you explore, the islands will always put on their best volcanic “attire,” sometimes adding a certain level of sublimity to the entire scene or acting as a colorful cornucopia of artistic ecstasy. The HMS Beagle is now ready to send out the first boat for exploring the selected coastline. Stephen’s Bay, where Cerro Brujo is located, is chosen and young Darwin is surely as excited as ever after holding high expectations for more than a decade with respect to these islands. On September 17th he writes: “As I was walking along I met two large tortoises, each of which must have weighed at least two hundred pounds: one was eating a piece of cactus, and as I approached, it stared at me and slowly walked away; the other gave a deep hiss, and drew in its head. These huge reptiles, surrounded by the black lava, the leafless shrubs, and large cacti, seemed to my fancy like some antediluvian animals. The few dull-coloured birds cared no more for me than they did for the great tortoises”. It is quite obvious that a combination of bizarre volcanic features and unique wildlife had captured the eye of a young Naturalist. While he had no idea about what was coming in the weeks ahead, the world had no clue about what ideas from Galapagos would percolate in his later masterpiece Origin of Species. That is what the power of observation can do if profusely used. Charles Darwin was a master at this. The Southern Islands itinerary on board Yacht Isabela II stops for a full day at San Cristobal Island, where the first landing site for Charles Darwin is also visited by modern-day explorers. It is here that you will be able to witness exactly what Darwin saw first. These are enough reasons to enhance excitement in any naturalist and you can easily be a part of this!